Private South Lake Home-Pets Welcome-Great rates! Beautiful private cabin available to rent in South Lake Tahoe. Newer construction, featuring all the modern amenities of home. 3 Bedrooms. including a Master bedroom with CA king bed, and attached bath and jacuzzi tub. 2nd bedroom features a Queen bed, and the 3rd features 2 twin beds for the kids, or combine the beds to form another queen. Master bedroom has a 32' TV, cable tuner and DVD player. Twin bedroom has a large TV and DVD player only. The large family room, invites you to relax with a new 42" 4k Smart HDTV (with wifi access) with DVD/VCR combo available as well, with Netflix/Amazon streaming. Plug your iPod into the stereo system and enjoy all your music whenever you like. Lots of room to spread out, and enjoy the gas stove after a day of skiing in the winter. Or after a day of hiking in the summer, relax on the deck and watch the wildlife around you. We offer free wireless internet (wifi) for all guests, who wish to bring their laptops/wireless pda's etc. The fully equipped kitchen features a convection oven, jenn-air stove, microwave, dishwasher, coffee maker... everything you need to cook and enjoy your home away from home. Our house is located on a culdesac, with very little traffic or noise. The home sits on a large 1/4 acre corner lot, and has an attached 2 car garage with level driveway for easy access. Right across the street is open National Forest land, available to hike, mountain bike and walk the dogs. We are located just a mile or so off of Hwy 50, off Pioneer Trail. Minutes from almost anywhere in South Shore. Just 5 miles to Heavenly ski area, 10 Miles to Sierra at Tahoe, and 25 Miles to Kirkwood (the locals favorite) A short 8 mile drive to Stateline Nevada and the casinos. The lake itself is only a few miles away. The home is family owned, and dog friendly! We wouldn't go up with out our best friends, so you shouldn't either. Pets are welcome, however they must be pre approved. Please tell us about your friends when booking. NO parties or large gatherings beyond the # of indicated guests are allowed. This is not a party home, or one for "rockin new years" etc. We are a family home, in a residential neighborhood, and have great relationships with our neighbors and want to keep it that way. Any complaints or violations of neighborhood ordinances by tenants will result in immediate removal without compensation or refund. This home is NOT subject to newly passed regulations in the City of South Lake Tahoe. 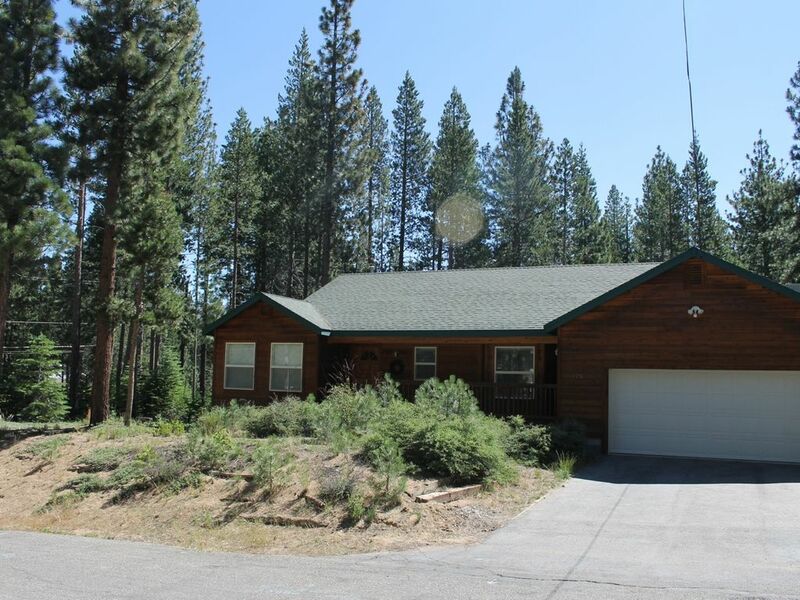 This home is in an unincorporated area of South Lake Tahoe, and subject to rental permits/conditions of Eldorado County, not the city of South Lake Tahoe. This home offers a lot of Tahoe with easy access. A nice quiet neighborhood, open BLM land just feet away, and far enough removed from the bustle of South Lake at State Line..but close enough when you want it. Central gas forced air, high efficiency. Full kitchen with everything needed to cook for the family. Gas BBQ. 2 car garage, free wifi. Well behaved dogs are always welcome with prior approval. Wonderful house. Plenty of room and close to skiing and to downtown. We all had a great time. Would love to come back next year hopefully for a longer stay! We had a great stay at Bill's cabin. It was conveniently located in Meyers (midway between Kirkwood and Heavenly resorts) and had everything one could need for a weekend in Tahoe. Bill was an excellent communicator and checked in with us throughout our stay to make sure we had everything we needed. We also appreciated the large garage which easily accommodated a truck. The house had plenty of linens, cooking utensils/supplies, etc. and was very clean. We will be back! Perfect location and cabin! Ask about Holiday rates. Holiday rates vary from $200-$250 per night.